Product #6266 | SKU CLKV354 | 0.0 (no ratings yet) Thanks for your rating! The Chameleon Component to HDMI Converter allows older analogue devices to be integrated seamlessly into the modern home theatre. 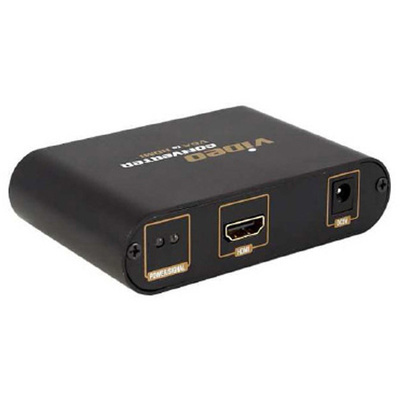 It connects component video home theatre devices to HDMI-compliant digital monitors or other HDMI input devices. With the Chameleon Component to HDMI Converter older home theatre devices can be easily connected to any HDMI display for the full digital video and audio experience. Convert HD component video YPbPr and Audio R/L signal to HDMI output. Input Stereo Audio: 1 X YPbPr video input + 1X Stereo Audio input are embedded into HDMI signal. Component Video Resolutions supported: 480i/p, 576i/p,720p,1080i and 1080p.